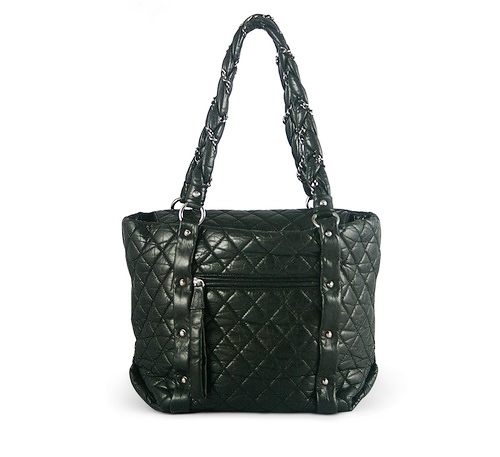 This beautiful and classic Chanel bag is soft with a quilted vintage look, has gunmetal hardware and is very light. 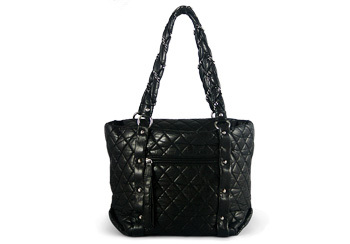 The bag has an outside pocket on one side, silver ball feet and leather wrap-around straps. Little bolts along the sides of the bag are stamped with the Chanel double C logo. The zipper closure opens to an interior lined with black canvas featuring a zip pocket on one side.